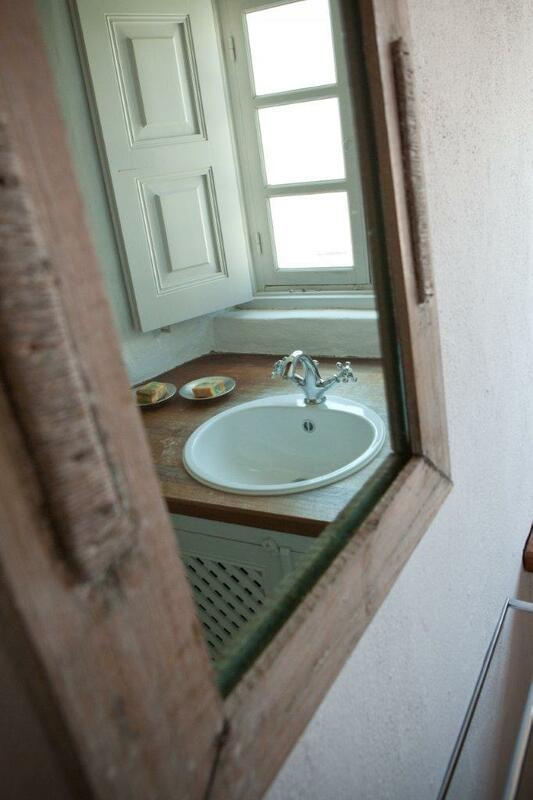 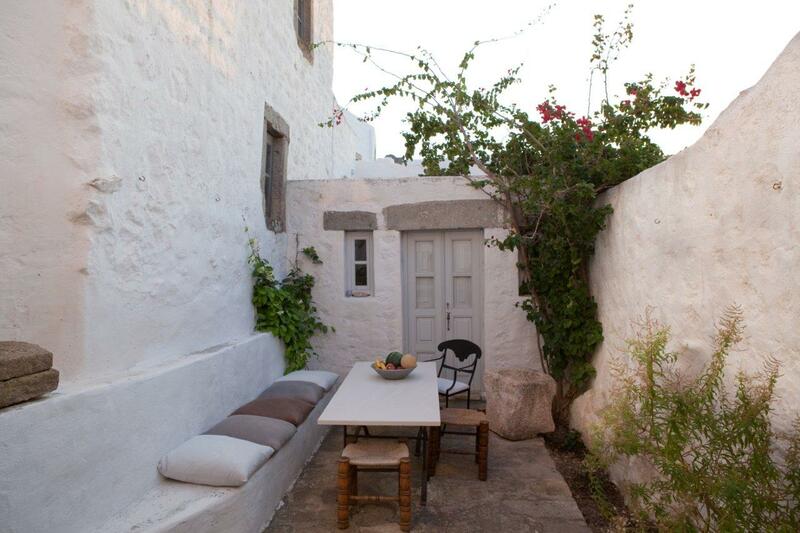 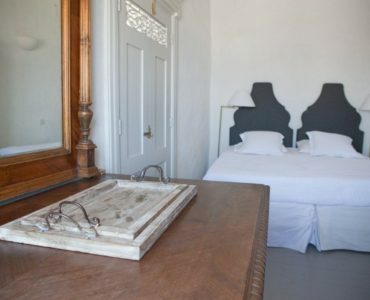 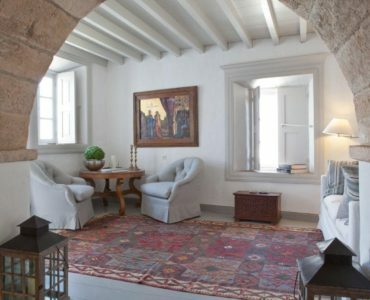 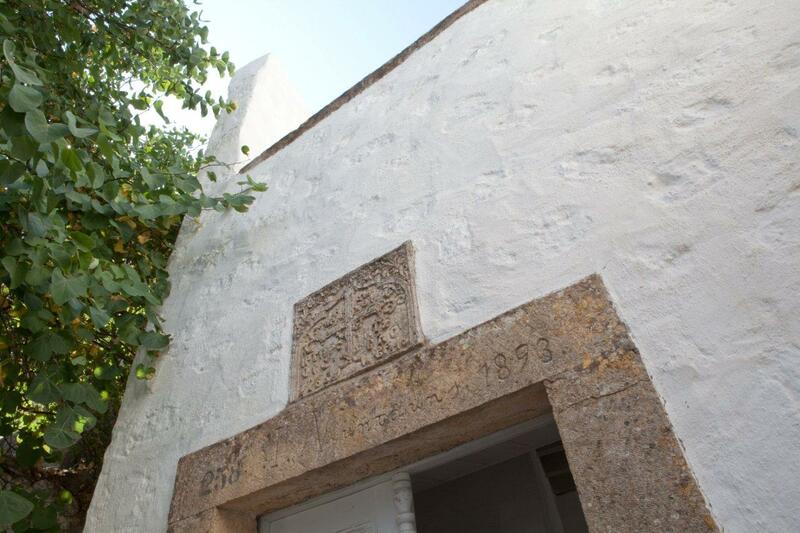 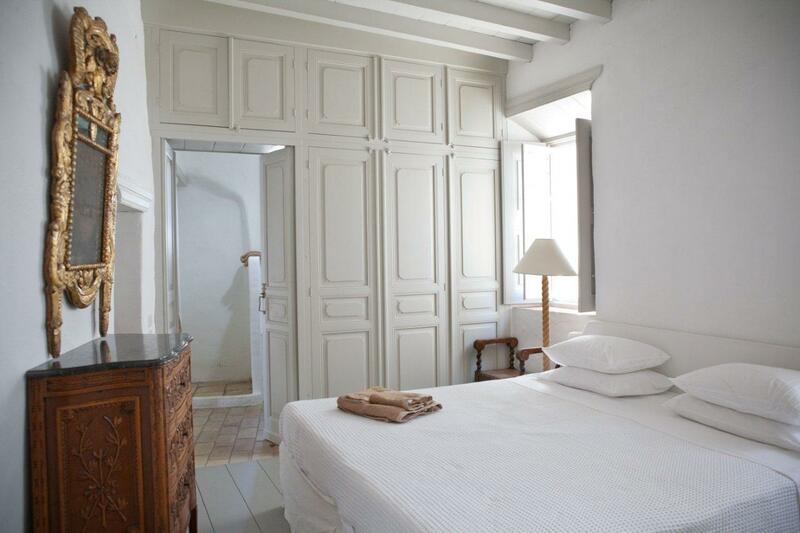 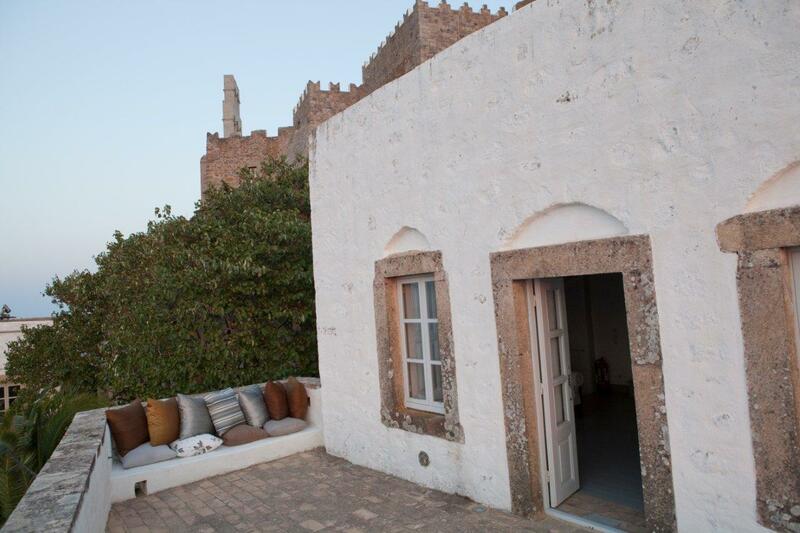 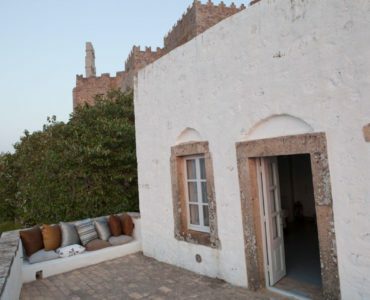 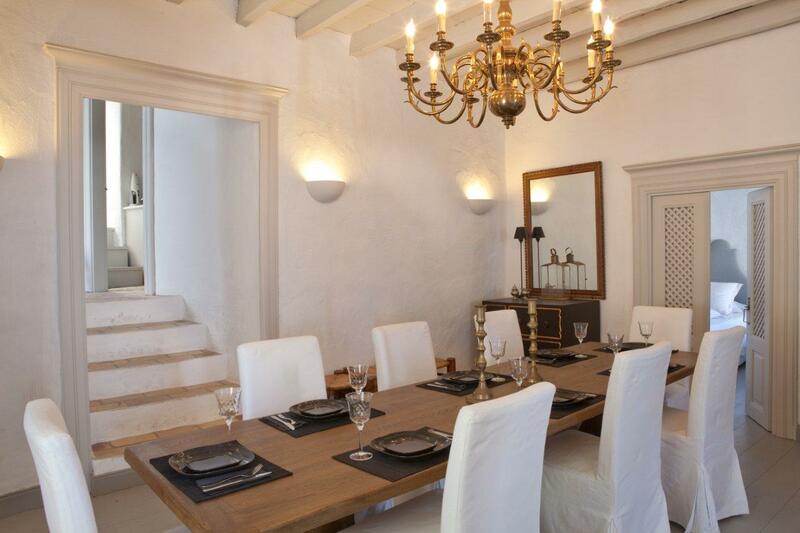 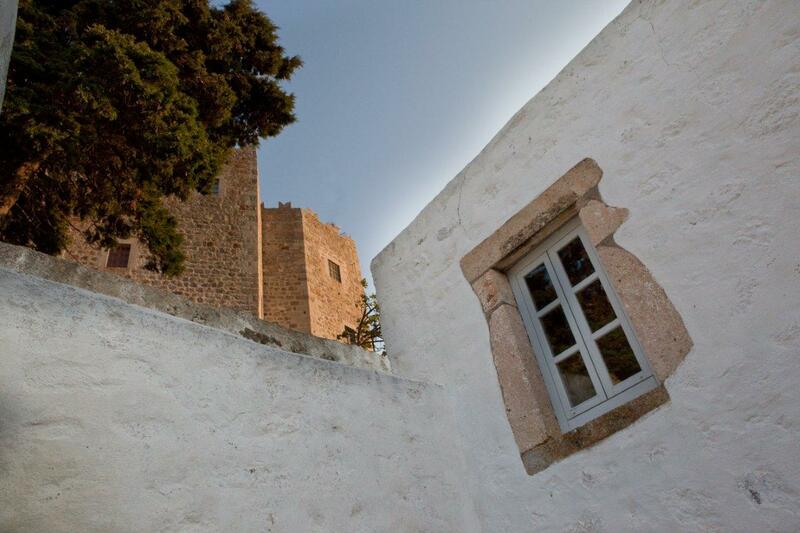 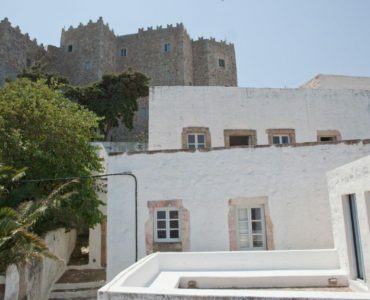 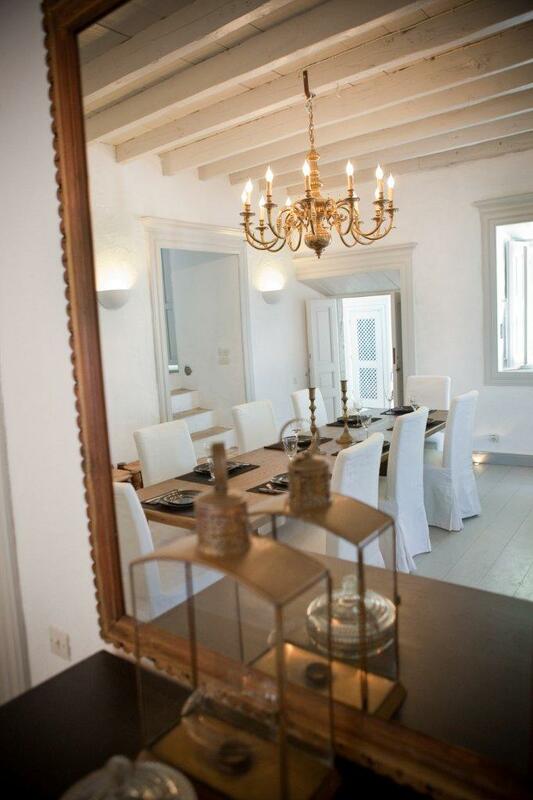 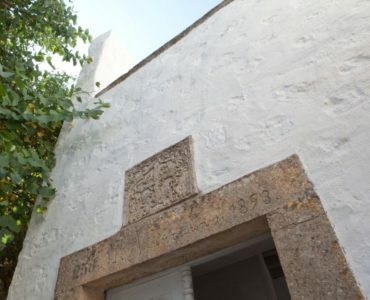 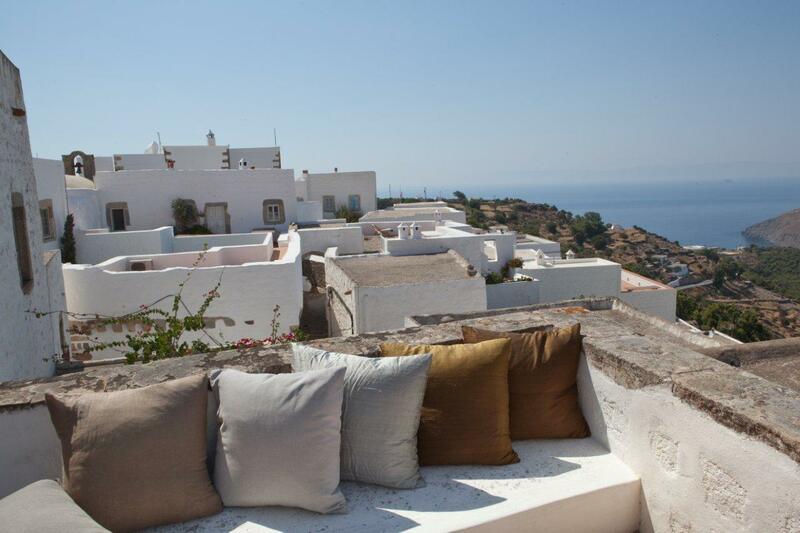 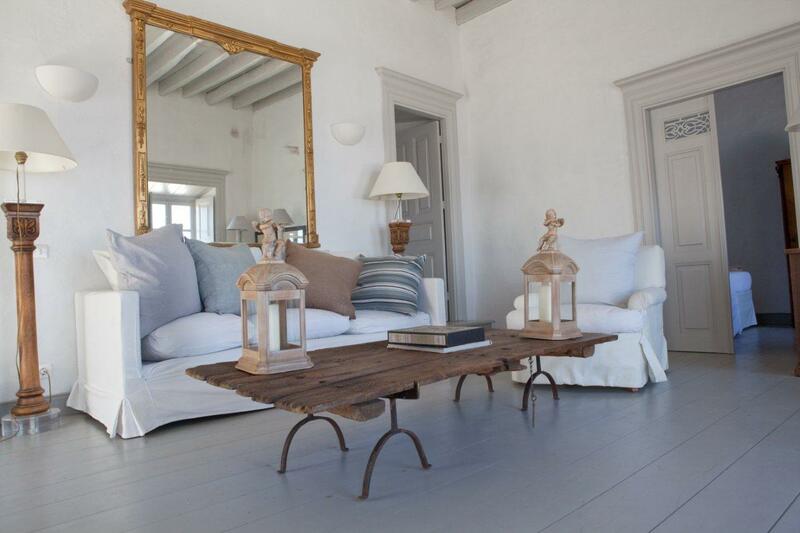 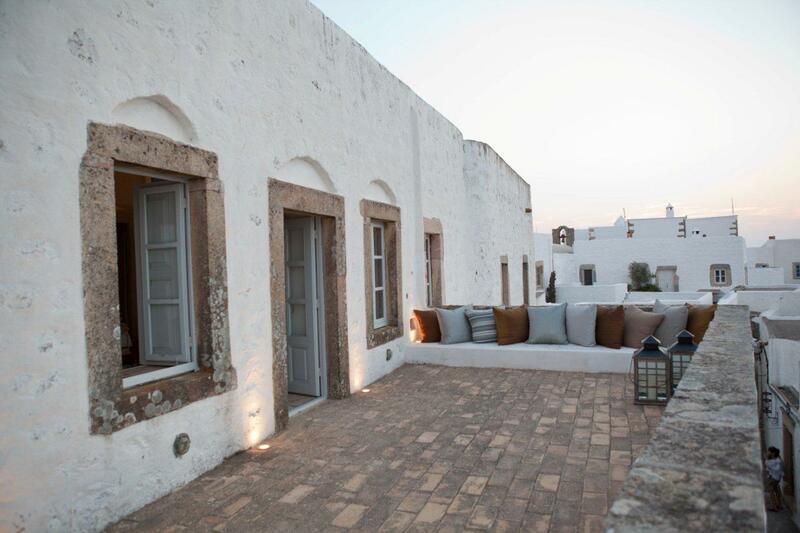 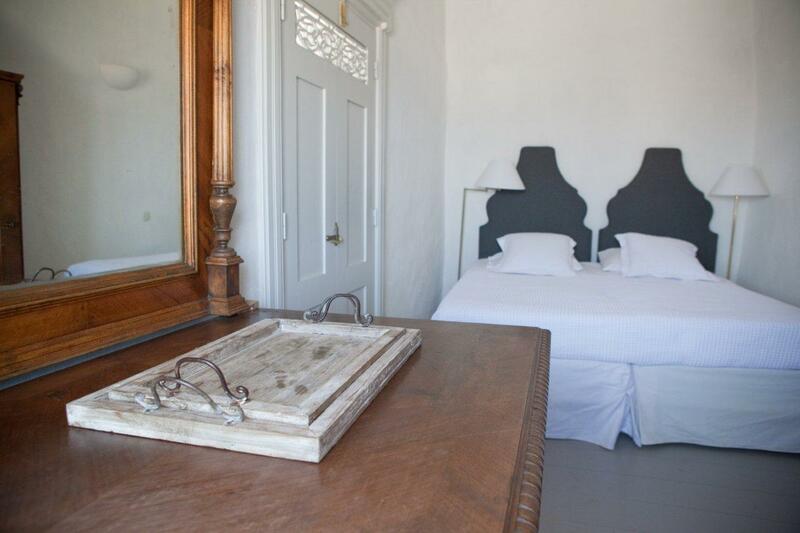 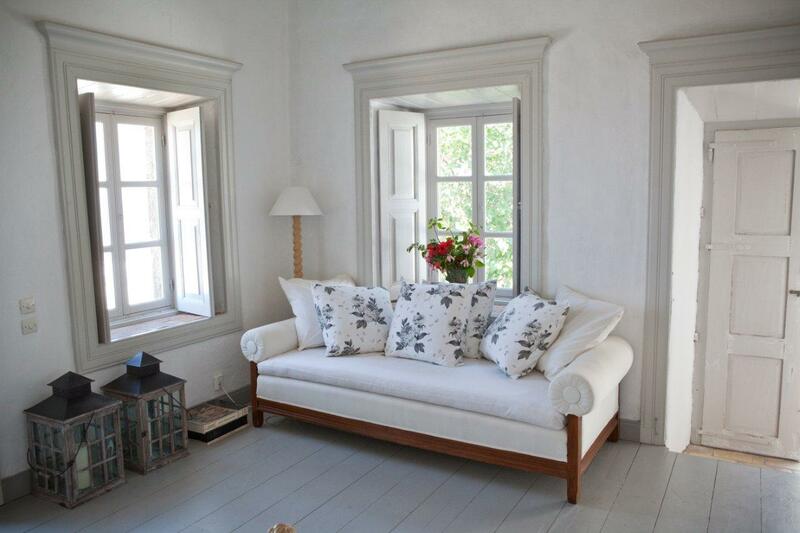 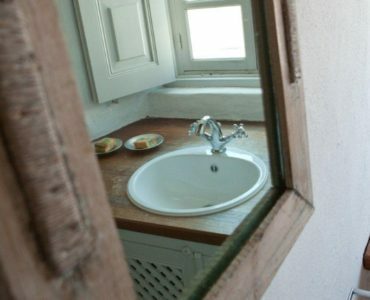 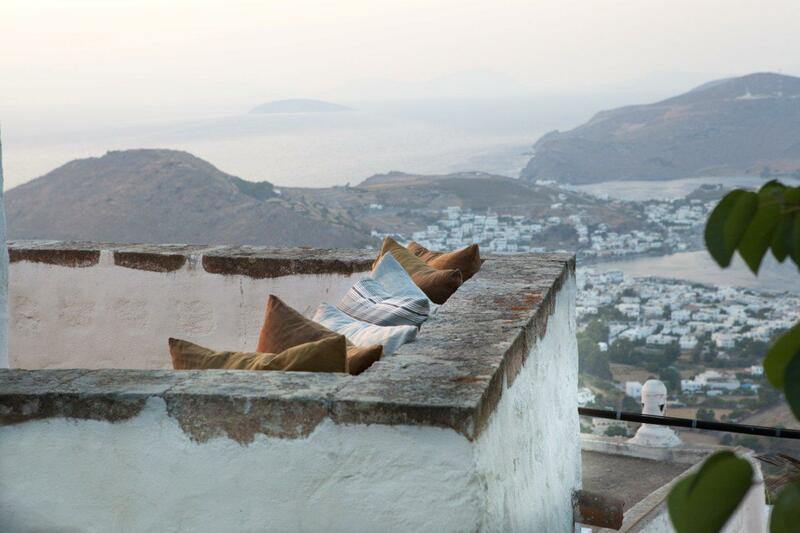 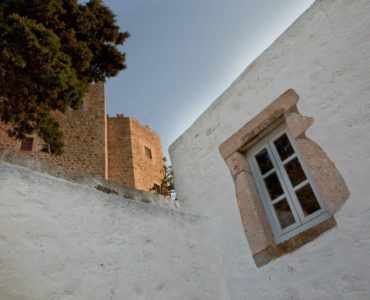 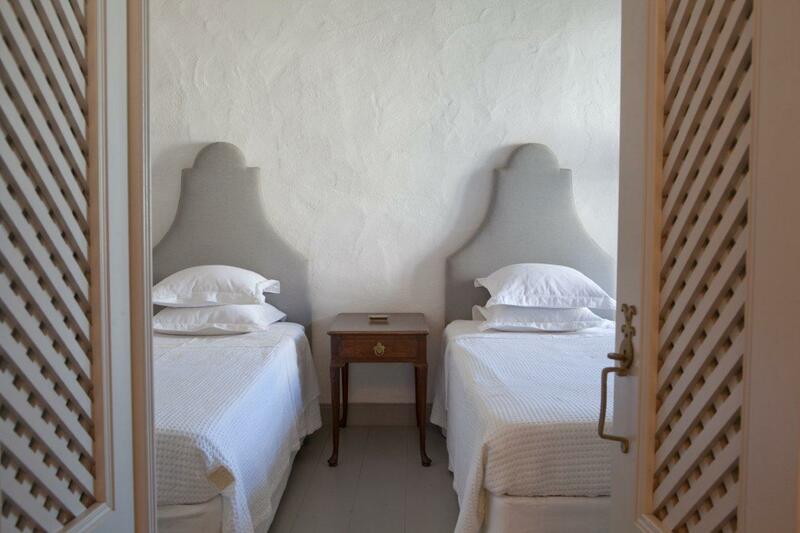 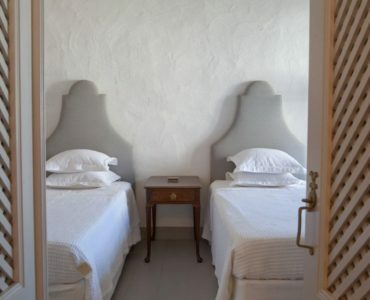 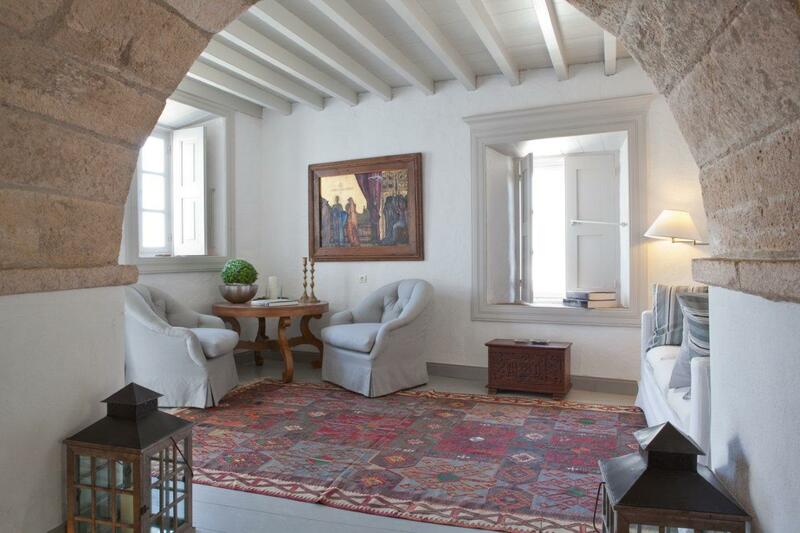 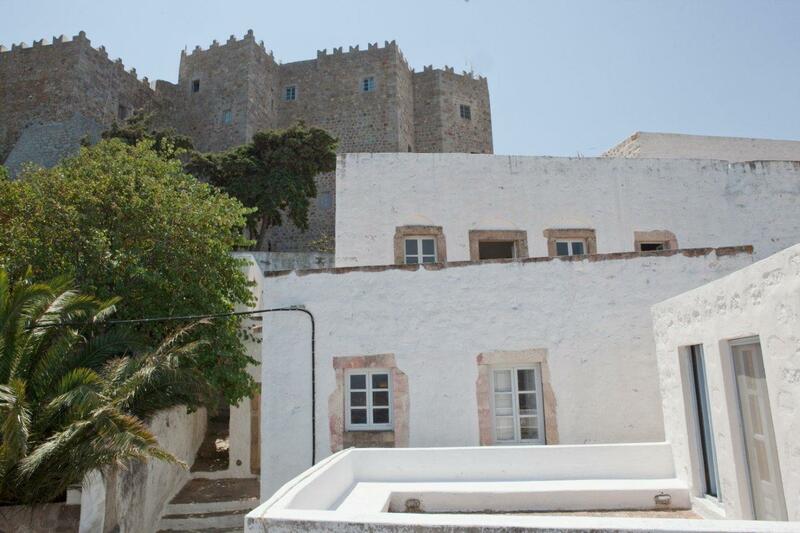 One of the most well renovated properties around the Chora of Patmos. 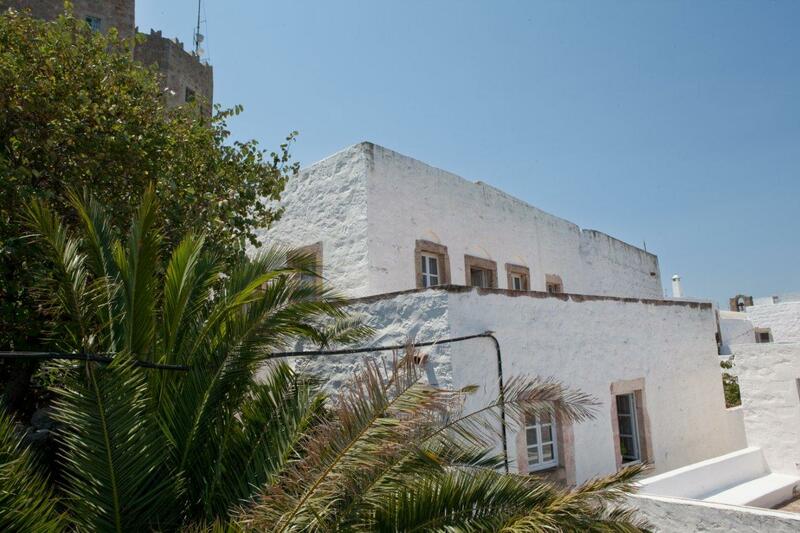 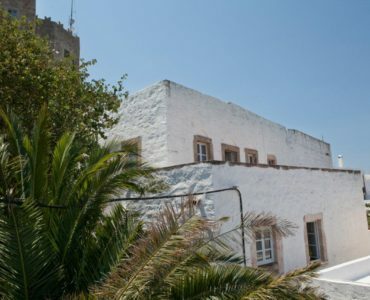 This beautiful 4- bedroom house is located in the centre of the main town, right underneath the monastery of St. John enjoying beautiful views of the port of Skala and the sunset. 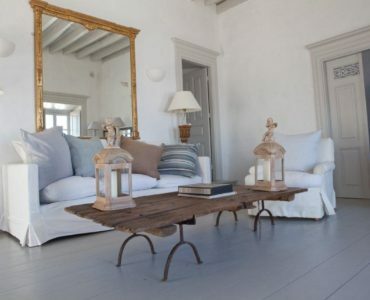 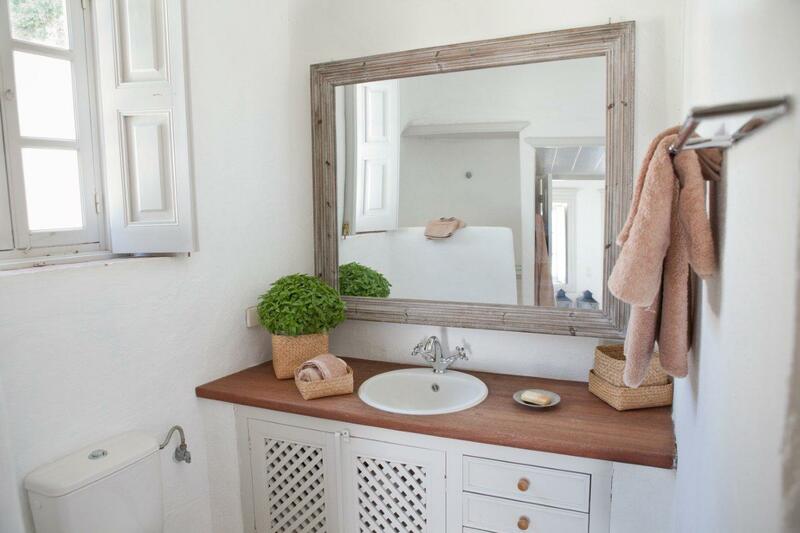 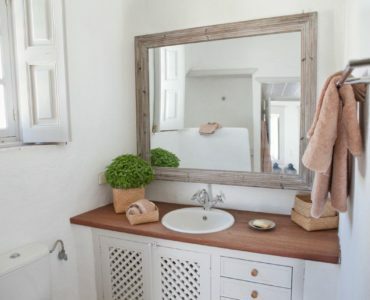 Antiques and valuable handmade pieces make the difference throughout the house in a harmonic combination with the simple, traditional island architecture. 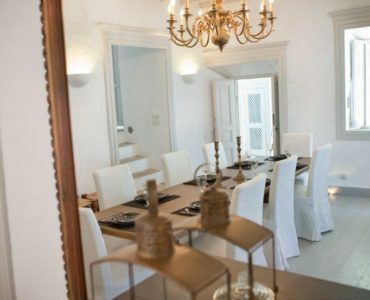 Truly a fantastic and well-rounded house for a friends and family. 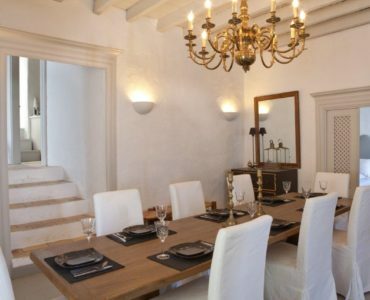 Internal terrace with a marbel dining table for 8 persons, ideal for breakfast or dinner; Terrace with built sofa with cushions and a breathtaking view the dawn and the sunset, the sea and the castle. 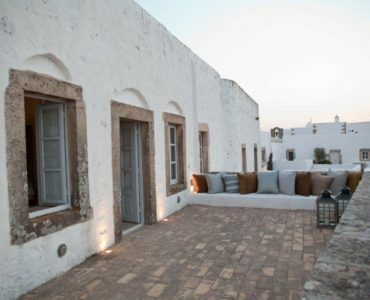 This is the ideal spot for romantic cocktails.